the homeowners were able to install A-rated hurricane protection for this challenging opening, and not compromise their financial or aesthetic sensibilities. Upon completion of this installation, the homeowners were able to obtain the Opening Protection “A” rating and enjoy a significant reduction in their annual Windstorm premiums. Every policy is different, and the savings are based on a number of variables; However, in this particular, and many other instances, the insurance savings will pay for the additional protection within a few months. 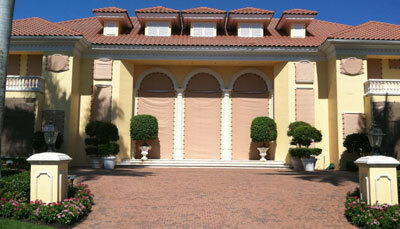 Protect your home and your bottom line: install hurricane fabric, it’s a win-win!